You are here: Home / Android Games / PUBG 0.7.0 Beta is Now Available on The Play Store: The Hype is Real! PUBG 0.7.0 Beta is Now Available on The Play Store: The Hype is Real! PUBG or Player Unknown Battlegrounds mobile is irrefutably the biggest game of 2018 for Android and IOS devices. Just like the PC and console version, it was destined to do good on mobile devices as well. Especially considering the number of features Bluehole and Tencent games were able to replicate on the mobile counterpart of the game (Seriously, how did you guys managed to do that?). 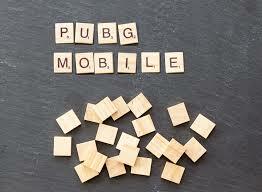 Just last month PUBG mobile got a huge update in the form of v0.6.0. This update bought several features. Season pass and first-person mode was the main highlight of the June update. But that’s old news now. PUBG mobile just got a beta release for v0.7.0 (listed under the beta section on the play store). People are freaking out over this beta. The number of features this beta brings to the table justifies the hype through and through (whoosh! Whoosh! All aboard the hype train please). This beta brings a number of new features and under the hood performance improvement. Without any further ado let’s get right into it. The UI is now more organized and polished. Few things have been moved from where they were previously. Although this seemed a little confusing to me at first, I think they make more sense now that I’m used to them. SLR DMR is now available in this beta version (ooh!!! Shiny). If you liked the mini14 or the VSS, this gun will fit you just right. The attachments are similar to mini as well. Ammo, however, is a different story. This gun uses 7.62mm bullets. Just like the AKM and KAR98. Well, they finally did it (Yay for me). You can now heal while riding a vehicle, as long as you are going below the 100kph mark. Keep in mind that you can’t use a medkit. As of now, you can only use painkillers and bandages in a mobile vehicle. Driving cars in PUBG mobile never felt this good. Now, you can take sharp turns without breaking a sweat. Previously cars felt really heavy and controls weren’t that responsive. It was good, but it wasn’t buttery smooth. The developers heard us loud and clear and fixed the issue with this beta release. Thanks, PUBG lords. Starter island has received an update as well. Now, there’s a big watch tower just in front of the crashed plane. You can now get a beautiful view of the whole island from the top of the tower (trust me, you definitely wanna go up there). Another cool new feature that found its way to this version is the inclusion of war mode. This will surely attract more players. Here’s a gameplay video for all of the players who’re interested in getting a sneak peak. How to get this beta? You can easily download this update from the play store by navigating to the beta listing section. Bear in mind that you won’t be able to sign in with your regular PUBG account. This is expected to be honest, as this is a beta release. This is actually a safety precaution. So, if things go south your main account doesn’t get affected. This beta is public. So, you don’t need any special invite or registration to get this update. How cool is that? I can’t remember any big company doing this before. Now, hopefully, you do understand the meaning of beta. In case you don’t, here’s a sweet little article about beta software. In short, this version has some bugs. I won’t be getting into all the nitty-gritty stuff as I’m sure all the bugs will be fixed by the final release. I’m pretty sure PUBG lovers like me would appreciate this beta release from TenCent games. This is a great initiative and brings so much to the table. A recent report suggests that fortnite mobile (mobile counterpart of fortnite, A battle royal game by Epic games) makes more revenue than PUBG while having support for IOS devices only. Makers plan on releasing the COMPLETE Android version soon. Hopefully, the final release of this update turns things around for PUBG. Now that the creators PUBG has filed a lawsuit against Epic games, things are about heat up. To get more updates about this lawsuit and other cool stuff happening in the gaming industry, stay tuned to Androidista. And as always, feel free to let us know your thoughts in the comment section below.